The Lessie Bates Davis Neighborhood House is a United Methodist Community Center whose mission is to improve the quality of life for residents of all ages by providing quality early childhood development services, comprehensive youth services, individual and family support services, services to older adults, and housing economic development services which will help move individuals and families out of poverty. 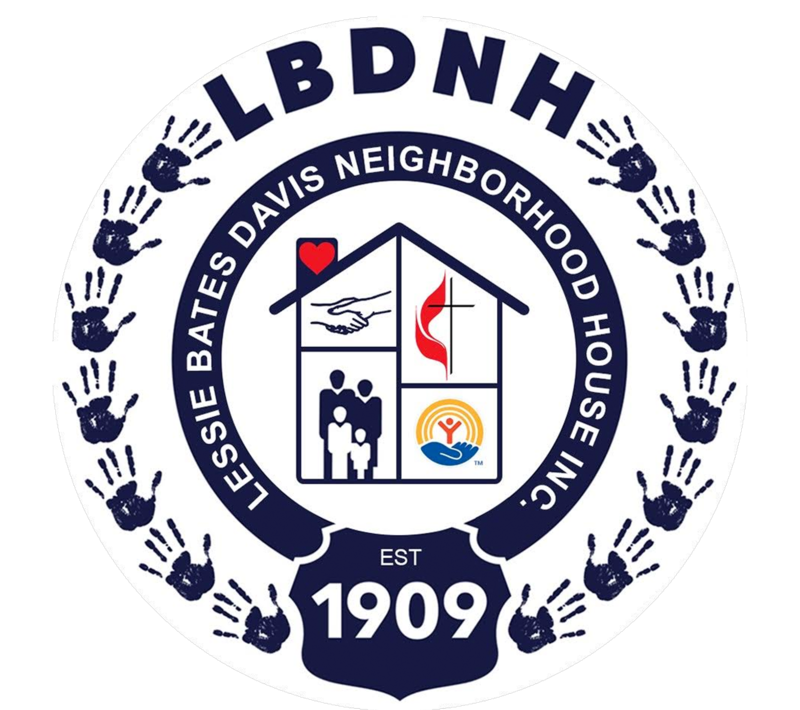 The mission work of the Lessie Bates Davis Neighborhood House began in the early 1900s when a large Bohemian-Slavonic population came to America to start a new life around the National Stockyards in East St. Louis, Illinois. A small cottage near the comer of 9th and Winstanley was obtained and thus began the Slavonic Settlement, as it was first known. Church services and Sunday School were held regularly, but from the beginning, the work sought to meet the social, physical and spiritual needs of the community. A Day Care for children of working mothers was one of the first programs to be started. The programs met a ready response and the mission work grew rapidly. In response to the rapidly growing programs, the Women’s Home Missionary Society of Southern Illinois Conference in 1914 provided the funds for a new building at the comer of 9th and Winstanley. Under the direction of Deaconess Carrie Johnson, Methodist pastors and missionaries, the ministry of the Settlement House continued to expand through the 20s and 30s. The programs had grown to such an extent that in 1939 it became apparent that another new facility was needed. 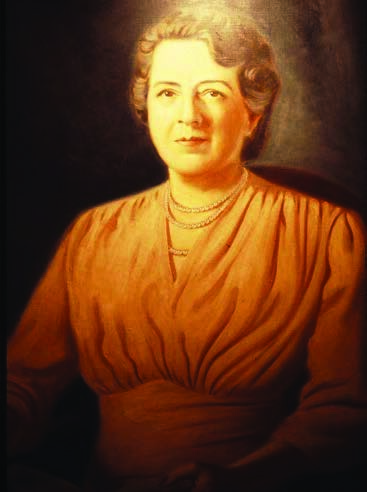 Mrs. Frank L. Davis (Lessie Bates) took a special interest in the project and was able to raise $125,000 throughout the Southern Illinois Conference and the United States to build the present facility at 13th and Winstanley. In honor of her 24 years of hard work, love and support, the building was dedicated the Lessie Bates Davis Neighborhood House in May of 1940. In the 1950s, under the leadership of Mrs. Lillie Sheffer, the mission work of Neighborhood House continued to grow. Now, kindergarten, crafts, recreation, Bible Study, home-making, scouting and social activities were all a part of the overall ministry of Neighborhood House. The 60s and 70s were a time a change in America, and East St. Louis was no exception. It was Executive Director Miss Elizabeth Provence that guided Neighborhood House through this time of transition in the 60s and early 70s. Miss Provence was able to strengthen and expand the Recreational and Educational programs at the agency. In addition, she was able to get the community residents more actively involved in the programming at Neighborhood House. In the 1980s and early 90s the East St. Louis community continued to go through many changes. A population of 75,000 in the 60s dropped to a little over 40,000 by 1990. The housing stock continued to decline and the number of impoverished people in the city increased. The needs of the children and families in the community also continued to grow and change. In response to this growing need the Neighborhood House began to develop and implement several new and innovative programs and services. These services were aimed at “Empowering and Strengthening the Individuals and Families throughout the greater East St. Louis community.” During the past ten years Neighborhood House has continued to expand its programs and services to youth, families and the elderly. Programs today include the Day Care Program, Emergency Services Program, Community Organizing and Outreach Program, Youth Services including Recreation, Education, and Cultural Arts, and a wide range of Comprehensive Family Support and Family Preservation Services. Through the years, Neighborhood House and the East St. Louis community have faced many challenges. However, Rev. Fransee’s original commitment “To try to see the face of Jesus Christ in every person who walks through the doors of the Neighborhood House”, continues today. The Neighborhood House, as a United Methodist Community Center looks to the future with hope as we continue to strive to improve the quality of life for all the children and families in the greater East St. Louis Community.